Below you fill find all funeral homes and cemeteries in or near Paris. Suburbs of Paris: Goss, Granville, Strother. Paris is also known as: Monroe County / Paris city. Zip codes in the city: 65275. Some of the notable people born here have been: (mary margaret mcbride). Paris is a city in Monroe County, Missouri, United States. The population was 1,220 at the 2010 census. It is the county seat of Monroe County. It was noted by Current Local on December 27th, 2018 that Gloria Virginia Taylor (Bradshaw) died in Paris, Missouri. Ms. Taylor was 84 years old. Send flowers to share your condolences and honor Gloria Virginia's life. It was written on December 14th, 2017 that Eleanore J Crinigan (Affelt) died in Paris, Missouri. Ms. Crinigan was 93 years old and was born in LaSalle, IL. Send flowers to express your sympathy and honor Eleanore J's life. It was disclosed by Waterloo/Cedar Falls Courier on February 19th, 2016 that Elnora A Moon (Young) passed on in Cedar Falls, Iowa. Ms. Moon was 96 years old and was born in Paris, MO. Send flowers to share your condolences and honor Elnora A's life. It was reported by Albany Democrat-Herald on October 14th, 2015 that Joyce C Ronquillo (Hess) perished in Eugene, Oregon. Send flowers to express your sorrow and honor Joyce C's life. It was noted by The Chinook Observer on September 29th, 2015 that William Dean "Potter" Potter died in Grays River, Washington. Potter was 73 years old and was born in Paris, MO. Send flowers to share your condolences and honor William Dean "Potter"'s life. It was revealed on June 9th, 2015 that Clarice Mabel Parks (Shrader) passed away in Paris, Missouri. Ms. Parks was 93 years old and was born in Shreveport, LA. Send flowers to express your sympathy and honor Clarice Mabel's life. It was revealed by Columbia Daily Tribune on December 21st, 2014 that Rickey A Coats died in Paris, Missouri. Coats was 64 years old. Send flowers to express your sympathy and honor Rickey A's life. It was written by Columbia Daily Tribune on November 12th, 2014 that Nelsie Levings (Johnston) perished in Paris, Missouri. Ms. Levings was 84 years old. Send flowers to share your condolences and honor Nelsie's life. It was disclosed by Columbia Daily Tribune on September 22nd, 2014 that Archie Ketchum passed away in Paris, Missouri. Ketchum was 91 years old. Send flowers to express your sympathy and honor Archie's life. It was reported by Topeka Capital-Journal on April 30th, 2014 that Donald A King perished in Topeka, Kansas. King was 59 years old and was born in Paris, MO. Send flowers to express your sympathy and honor Donald A's life. Paris is a city in Monroe County, Missouri County, Missouri, United States. The population was 1,529 at the 2000 census. 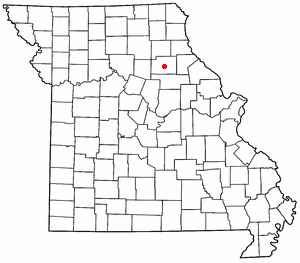 It is the county seat of Monroe County, Missouri County . . .
Doris Ann Tanzey, 82 of Paris, Mo. passed away on Oct. 27 ... A celebration of her life will be held at a later date. Agnew Funeral Home was in charge of the arrangements. Visitation will be from 2 to 5 p.m. Saturday at Memorial Funeral Home. Burial will be at 11 a.m ... 65211, or Upward Basketball and Cheerleading, c/o Memorial Baptist Church, 1634 Paris Road, Columbia, Mo., 65201. Find funeral directors & Funeral Directors in Paris, MO. Read business reviews, find driving directions, and more. funeral directors on YELLOWPAGES.COM. Find coupons in Paris offered by your local businesses for products such as pizza, grocery shopping restaurants and more. We work with local florists and flower shops to offer same day delivery. You will find budget sympathy flowers in Paris here. Our funeral flowers are cheap in price but not in value.